On the Home tab, click Restore > Microsoft Hyper-V > Restore from replica > Entire replica > Failover to a replica. Open the Home view, in the inventory pane select Replicas. In the working area, select the necessary replica and click Failover Now on the ribbon. Open the Home view, in the inventory pane select Replicas. 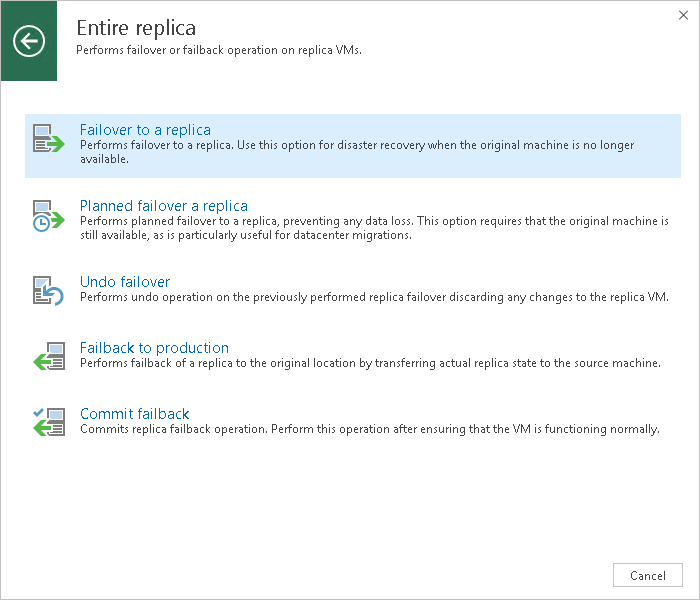 In the working area, right-click the necessary replica and select Failover Now.